AceCourt Tennis Infill ®, is the flagship product of Sidec, a leading manufacturer of coloured quartz for filling artificial grass pitches, and it possesses 4 unique strengths. AceCourt Tennis Infill ® , one of the products of coloured quartz producer Sidec NV for sprinkling tennis infill on artificial grass courts, will not soil the underground. This is the conclusion after the infill was tested by an officially accepted testlabo. The standards are written down in a Dutch resolution called 'Besluit Bodemkwaliteit'. AceCourt Tennis Infill ® is one of the products of coloured quartz producer Sidec NV for sprinkling tennis infill on artificial grass courts. AceCourt Tennis Infill ® is known because the granules doesn't stick together. Due to a huge increase in demand, Sidec has built up an extensive stock of tennis infill so that we can make it available very quickly to our customers. AceCourt is available in large bags of both 1500 kg and 1000 kg. Sidec,AceCourt Tennis Infill ® producer, is the proud owner of the ISO 14001 standard. ISO 14001 is voluntary, with its main aim to assist companies in continually improving their environmental performance, whilst complying with any applicable legislation. Producer Sidec subjected AceCourt Tennis Infill ® to a thorough immersion test and to a free drop test with anti-moss products. Result: the additional pressure from the active ingredients in most anti-moss products did not influence Sidec's ace product for artificial grass pitches. From now on, you can pay your invoices online, via www.sidec.eu. AceCourt Tennis Infill ®, one of the products of coloured quartz producer Sidec NV for sprinkling tennis infill on artificial grass courts, passes with honours the Labosport test. AceCourt Tennis Infill ® was tested for particle grading, particle shape, water permeability and resistance to friability. 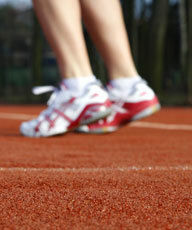 Labosports concluded that AceCourt is conform the criteria and suitable as coated sand used as tennis infill. AceCourt succeeded also for the DIN V 18035-7:2002-06 standard. In this test, AceCourt was tested on particle shape, composition and grain size. From now on, AceCourt Tennis Infill ®, one of the products of coloured quartz producer Sidec NV for sprinkling tennis infill on artificial grass courts, will be available in green. AceCourt Tennis Infill ®, one of the products of coloured quartz producer Sidec NV for sprinkling tennis infill on artificial grass courts, will be available in 1000kg Big Bags. AceCourt Tennis Infill is also available in 25kg bags or 1500 Big Bags. AceCourt Tennis Infill ®, one of the products of coloured quartz producer Sidec NV for sprinkling tennis infill on artificial grass courts, passes with honours the ISA Sports durability test. AceCourt Tennis Infill ® is one of the products of coloured quartz producer Sidec NV for sprinkling tennis infill on artificial grass courts. 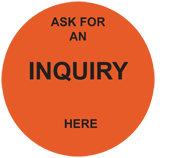 The company is known for being the inventor of high-quality, coloured quartz (minimum 96% SIO2) that always undergoes thorough sieving processes. Because of the round shape, the base material of AceCourt Tennis Infill has perfect drainage characteristics. Since 2009, more than 300 all-weather tennis courts has been built up with AceCourt.